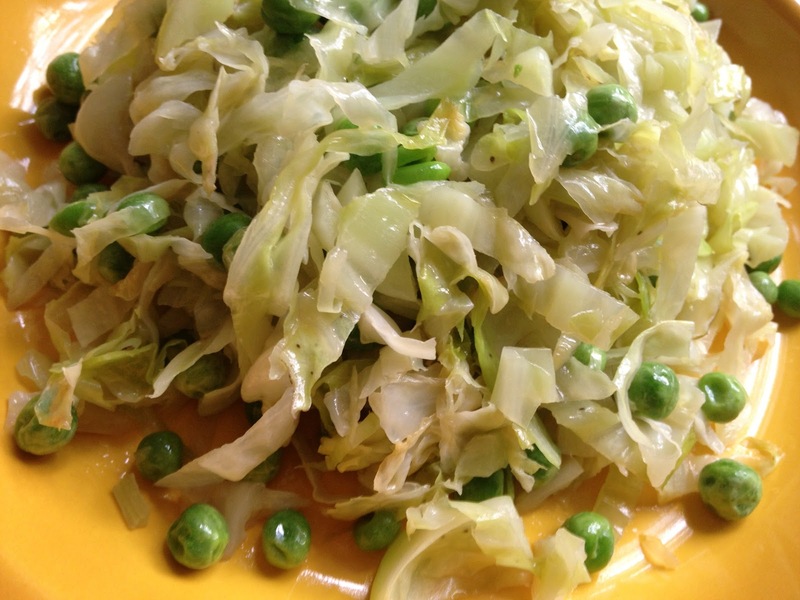 Cabbage is excellent sautéed, almost caramelized. Any cabbage will do but this cabbage is sweet which makes this deal extra special. Slice the cabbage thinly. Sauté in olive oil and salt until really soft and translucent. Add the peas and toss around until heated through. Enjoy! I sauteed some green cabbage too last night and I thought it was quite tasty, even a little juicy. I often don't know what to do with cabbages, but this is a good way to use them. They are so huge.It must be delicious with the green peas. it is great with the peas! i am thinking of roasting the next one i get…cut it into "steaks" and brush with olive oil and roast. what do you think??? I'd be curious to hear how it turns out if you try it.